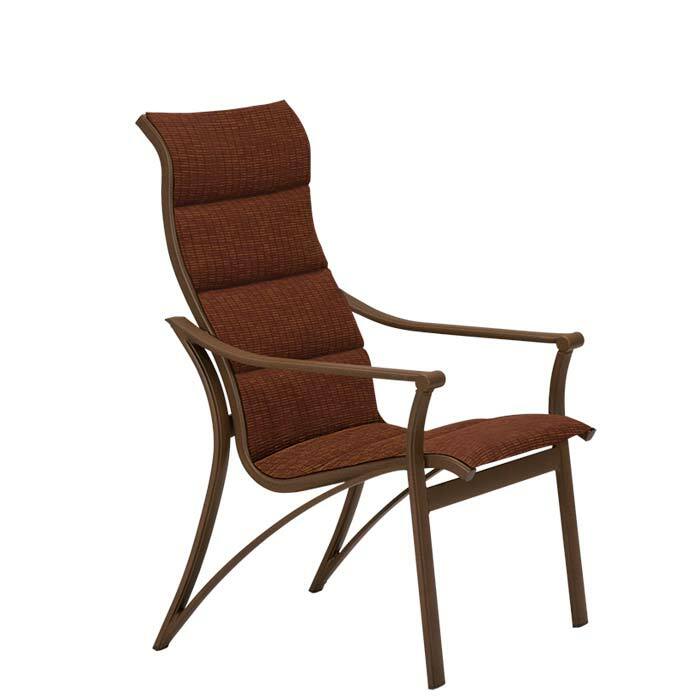 The Corsica Padded Sling High Back Dining Chair is crafted from durable powder-coated aluminum and features flowing curves and end-of-arm rolled detailing. The high-back design delivers sink-in comfort while providing head support. With two-layers of cushioned fabric slung across the seat and back, the Corsica Padded Sling High Back Dining Chair creates a simple and refined culinary setting.